January 6 - 9 - CES - Consumer Technology Association re Music-Communications interests, Nashville panelists, details here. Las Vegas. January 12 - Tennessee General Assembly convenes. January 12 - "State of the Union Address" by President of the United States Barack Obama. January 12 - Nashville Area Chamber of Commerce introduces first cohort of ScaleUp Nashville, details. January 12 - EPIcenter Memphis open house for new EPIcenter Germantown, coworking and business facility, details TBA. January 13 - Chattanooga Chamber's annual Mayor's breakfast, speaker Gary Altig, Federal Reserve - Atlanta. details here. January 13 - Panel on access to Capital, Nashville Entrepreneur Center, open to EC Alumni and 'Grow'-level EC members. January 18 - Martin Luther King Jr. Day. January 21 - "Wall Street view of Health Care sector," Nashville Health Care Council luncheon, details. January 21 - Happy Hour for Entrepreneurs who are Military Veterans at Nashville EC, details here. Bunker Labs. January 26 - "Women in Tech: The balancing Act," Connie McGee, Intel, at WiTT, details here. January 27-28 - Global Corporate Venture Summit, Sonoma, Calif. Details here. January 28 - Nashville Technology Council Awards, Country Music Hall of Fame, details here. January 28-31 - NHL All-Star Weekend Fan Fare Weekend, Nashville/NYC. Details. January 29 - Equity Crowdfunding portals may now register with SEC, related here. January 29-31- HACK MT at Middle Tennessee State University, details here. February 1 - Gov. Bill Haslam 'State of the State Address', according to staff of Lt. Gov. Ron Ramsey, Jan. 25th. February 1-4 - LaunchTN The TENN accelerator events in Kingsport, Knoxville, Nashville, Chattanooga, Memphis. Details here. Nashville's turn is Feb. 3, 5pm, at EMMA, in the Entrepreneur Center neighborhood. February 2 - Nashville Chamber Intl. Business breakfast: Speaker: Russian Federation Ambassador Sergey I. Kislyak. Details. February 2 - Groundhog Day, 217th sighting: Punxsutawney (Pa.) Phil. One Nashvillian sends G.D. holiday cards. February 9 - LifeScienceTN State Policy Day. Details. February 9 - Nashville Business Incubation Center annual stakeholders meeting, Hilton Garden Inn Broadway, 3:30pm details here. February 15 - Washington's Birthday. February 25-26 - MusicTech & Futures Summit, Renaissance Hotel, Nashville, details here. February 25 - Hannah Chung, co-founder of both Sproutel and Design For America speaks at VU School of Engineering, 4:10 p.m., details here. February 26-27 - 'Tennessee Science Bowl' sponsored by ORAU at Pellissippi State campus in Blount County, details here. February 29-March 4 - HIMSS, Las Vegas, details. March 1 - Health:Further quarterly: Telehealth, details here. Nashville. March 1-2 - LifeScienceTN Federal Policy Day. Details here. March 4 - Robert Galvin, M.D., CEO Equity Healthcare, Blackstone Group, Fireside Chat with Former U.S. Sen. Bill Frist, M.D., Nashville Health Care Council, details here. March 8 - LifeScienceTN Venture Match at LaunchTN offices, 5pm details here. March 8 - Mayor Megan Barry joins Nashville Technology Council, et al, for techhub ribbon-cutting, details here. March 10 - SEMDA - LifeScienceTN MedTech spotlight, Butler Snow, details here. March 11-12 - "Mad, Bad & Dangerous II" introduces Girls to business formation, Girls Prep. School, Chattanooga, Details. March 11-12 - Concurrent with Mad-Bad, 24HourGenerator convenes Girls from throughout Southeast, details here. March 11-15 - Austin: SXSW Interactive, details here. Hundreds of Tennesseans attend this and the related Music festival. March 15 - ScaleUp Nashville 2nd cohort application due Nashville Area Chamber of Commerce, details. March 16 - Software & Information Industries Assn. (SIIA) C-level finance conference at Nashville Entrepreneur Center, details TBA. March 18 - EPIcenter Logistics Innovation Accelerator applications deadline. Cohort convenes May 2. Details here. March 25 - Good Friday, markets closed. March 26-27 - 48Hr Launch at Nashville Entrepreneur Center, with VU VINES details. March 28 - CoLab-LaunchTN Reverse Pitch, details, Chattanooga. March 29-30 - TN Rural Economic Development Conference, Murfreesboro. Details. March 31 - Roadmap for LifeScience startups - LifeScience Tennessee - Knoxville, details. March 31 - Memphis Women's Summit, with former GMA anchor Joan Lunden et al, details here. April 5 - Health Connect South - Entrepreneurship, Investing in Healthcare startups, details here. Nashville Entrepreneur Center. April 5 - 9 - Tin Pan South 2016. Nashville. Details here. April 5 - Healthcare South - entrepreneurship and investing in Healthcare Startups, Details here. Nashville Entrepreneur Center. April 6 - Project Music - Nashville Entrepreneur Center - VIP accelerator cohort introductions. April 6 - Tennessee Venture Challenge (semifinals March 24), $20K prize student bizplan competition, Knoxville, details here. TEAMS here. April 6 - 19 - 3686 Southern Series demo days Birmingham, Atlanta, Raleigh, details here. April 8 - Panel on Medical Interoperability, Nashville Health Care Council, details here. April 8-11 - Boyd Venture Challenge presentations and winner nominations, details here. April 9 - Craft Content annual event, Nashville, date to be announced Jan. 4, 2016. Site here. Nossi College, Nashville. April 9 - Commerce Drone Expo, FedEx Institute, UMemphis, details here. April 12 - "How Nashville is promoting our Tech companies" - Nashville Technology Council panel at E-spaces, details here. NTC CEO Bryan Huddleston and Nashville Chamber CEDO Courtney Ross. Details here. April 15 - Finals, Undergrad Student Competition, UT Andersen Center for Entrepreneurship-Innovation. Details. April 15-16 - TEDxNashville at TPAC, details. April 20 - SBIR Road Show, Nashville, details here. April 21 - The TENN finale event by LaunchTN at City Winery, Nashville. Details here. April 25 - VU Engineering Student Design Day, 4p-6p, Student Life Center, Nashville. April 28 - NASBA Business with Purpose luncheon, Music City Center Nashville, details here. April 29 - Metro/Nashville Mayor Megan Barry State of Metro Address, Ascend Amphitheater, 11:30am. May 1 - 7 - U.S. National Small Business Week. National program here. May 4 - Louisville Venture Connectors demo day here. May 7 - Mad, Bad, Dangerous #girlsandwomen entrepreneurial summit, Knoxville, details here. May 8 - Deadline for Dynamo Accelerator, Chattanooga applications by Logistics, transport, related companies, detail here. May 9 - Demo Day for 1440 Publisher accelerator cohort - Ingram Content Group. Nashville. May 10 - Health:Further, Nashville, program on interoperability, details here. 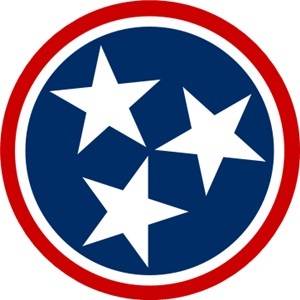 May 11 - Nashville Technology Council meetup on broadband access in Tennessee, details here. May 12 - Nashville Health Care Council, financing the deal conference, details here. May 12 - Virtual Reality Summit, Mind2Marketplace + TN Tech U. details here. May 13 - GigTank365 accelerators begin, Chattanooga. Demo Day is June 29 (below). May 16 - Project Music accelerator Cohort Showcase, CMHoF Theater. May 16 - 18 - Music Business Association Music Biz 2016 Nashville, detail here. Startup Academy May 16 here. May 17 - 18 - Tennessee STEM Innovation Summit, details, Nashville. At Vanderbilt University. May 18 - Salon615 - Steve Case, John Ingram, Stuart McWhorter, panel, Nashville Main Library, details here. May 18 - 19 - SEMDA Southeastern Medical Device Association Annual Meeting, Nashville, details here. May 19 - 22 - MOOGFEST at Durham, N.C., featuring Music, Art, Technology and attracting entrepreneurs, scientists, futurists and others. Detail here. May 20 - BSidesKnoxville tech security conference, details here. May 23-28 - Google for Entrepreneurs HealthTech, Nashville, Details. May 24 - ACG dinner program on Transportation & Logistics, Memphis, details here. May 25 - 28 - Global Finals, Destination Imagination student STEM and Arts challenges, UT Knoxville, details. May 30 - Memorial Day. June 1 - 2 - TN Valley Corridor National Summit at TN Tech Univ., Cookeville, details here. June 4 - Nashville Day of Civic Hacking, details here. June 6-7 - Annual LaunchTN "3686 Conference", Nashville's Schermerhorn Symphony Center, Details TBA. June 9 -12 - CMA Music Festival, Nashville. June 9 -12 - Bonnaroo 2016. June 10 - 18 - Riverbend Festival, Chattanooga. Details here. June 12-14 - Optimal Aging Conference, Louisville. Details. June 14 - Nashville Health Care Council panel on community health strategy, HHS Acting Asst Scrty Karen DeSalvo, details here. June 14 - Nashville Health Care Council panel on healthcare services continuum, details here. June 14 - Distributed:TradeFintech blockchain conference, St. Louis, SixThirty, BTCMedia, details here. June 15 - Project Healthcare CEO sessions, details here. Nashville Entrepreneur Center. June 16- 17 - Healthcare M&A conference, Nashville, iiBIG, details here. June 17 - Deadline for agri-startups' applications to AgLaunch ag-innovation accelerator. June 21 - SPARK! ORNL-UTRF technology showcase, 3-6pm, details here. June 23 - 24 - Association for Corporate Growth (ACG) Capital Connection, Omni Nashville, details TBA. June 23 - 25 - Summer show, Nashville, Natl. Association of Music Merchants (NAMM), details here. June 25 - "The Future of Audio and Music Technology," (Sat.) part of NAMM Summer conference, Music City Center, details here. June 28 - Bunker Labs Bunker Builds America Daylong Muster for Veterans entrepreneurs, details here. July 7 - Nashville Technology Council AdvoTech session on licensed software sales tax confusion, 8 am, details here. July 13-15 - STEM for Girls - Think Tank and Conference, in Nashville - Details. July 15-16 - CodeStock in Knoxville, details here. July 21 - We Build Tech Summit, Franklin, TN, tech workforce development, details here. July 27 - Pitch Day, Chattanooga at the Edney Innovation Center, late afternoon (probably from about 5:30pm ET). Details here. July 28 - Bizaroo, Nashville Chamber and Owen GSM-Vanderbilt, details. July 29 - "Need Based Innovation and Technology," Lipscomb U. Spark, Franklin, details. August 1 - Nashville Healthcare Council women in leadership conference, Modern Healthcare, details here. August 8-16 - Memphis, Graceland ELVIS WEEK, details. August 9 - "Developing Health Care Ventures," Nashville Health Care Council, Nashville Capital Network, details here. August 10-11 - IHT2 Healthcare Technology Transformation conference, details here. August 11 - EPIcenter Memphis accelerator DemoDays for its ZeroTo510 accelerator and StartCo's Upstart, SeedHatchery and SkyHigh accelerators, details here. EPI's Logistics accelerator details TBD. August 11-12 - Nashville Health Care Council iHT2 HealthIT conference, details here. August 11-12 - Nashville Analytics Summit, Aug. 11-12, Nashville Technology Council, details here. August 14 - Deadline for Nashville Chamber - Entrepreneur Center NEXT business awards, detail here. August 23-24 - Jumpstart Foundry Health:Further healthcare conference, Nashville, details here. August 24 - Nashville Technology Council annual meeting., Marathon Music Works, details here. August 25 - InfraGard Middle Tennessee chapter Interface homeland security conference Nashville, details here. September 5 - Labor Day. September 6 - Nashville Entrepreneur Center Arts & Bus. Council Periscope Pitch, details. September 7-11 - (National) U.S. Marine Week in Nashville, details here. September 8 - Nashville Entrepreneur Center PreFlight Pitch Day, details here. September 9 - 11 - CoLab Chattanooga 48hr Launch, precedes #Mozfest for startups, details here. September 12 - Vanderbilt University Music, Mind & Society Symposium, details here. September 13 - MusicPreneur sessions, Nashville Entrepreneur Center, "How Tech is changing access to Music," details here. September 14 - BizFoundry (Cookeville) daylong Innovation & Entrepreneurship conference, details here. September 14-15 - TN HiMSS Southeast Summit, Music City Center, details here. September 17 - Nashville Mini Maker Faire, details here. September 19-21 - Shingo Institute Manufacturing Summit, Knoxville, details here. September 19-23 - Innova865 Startup Week in Knoxville, site here. Related KNS story here. September 20 - ISSA, Nashville Technology Council InfoSec conference. Details here. September 23 - Vanderbilt University Personalized Medicine Day, including Verily (Google) exec speaker, details here. September 23 - (New) Cybersecurity Consortium, Knoxville, details here. September 24-25 - Pilgrimage Music & Cultural Festival, Franklin, details here. September 29 - Nashville Health Care Council Election 2016 & Future of Healthcare with US Sen. Bill Frist, et al, breakfast details here. October 1 - Distributed:Health hackathon, Nashville Entrepreneur Center, details here. October 3 - Distributed:Health conference re blockchain, distributed ledger technology, details TBA here. Schermerhorn Symphony Center. BTCMedia. October 3-7 - Chattanooga Startup Week. Details here. October 4 - Distributed: Nashville at Nashville Entrepreneur Center, sessions on blockchain and Music, and VC and HealthIT, more here, here and here. October 4 - Chattanooga's Dynamo Accelerator Demo Day, details here. Logistics. October 4 - Nashville Chamber NextAward finalists celebration, details here. October 6 - Chattanooga Startup Awards (app deadline 9/29), details here. October 9 - 11 - Louisville Innovation Summit, details here. October 10 - Belmont University "Health Care Hall of Fame" induction event, details here. October 10 - Columbus Day. October 14-16 - Nashville "Southern Festival of Books." October 15 - BarCamp Nashville, details. October 18 - EDGE IT security conference, Knoxville, right here. October 18 -19 - Musculoskeletal New Ventures Conference, Memphis, details here. October 27-28 - Annual Governor's Economic Development Conference. Renaissance Hotel Nashville. Registration here. October 30 - Vol Court Pitch Competition, details here. UT Andersen Center. November TBA - Boyd Venture Challenge plan, presentation judging and Awards event. Details. UT Andersen Center. November 2-3 - Venture Atlanta annual conference, details here. November 3-4 - Life Science Tennessee annual conference and Venture Match program, Hutton Hotel and Innovation Park, details here. November 4 - Nashville Technology Council deadline for nominations for annual awards, details here. November 4 - Vanderbilt University - Owen Graduate School of Management Health Care Conference, details here. November 6 - Nashville Good Makers Market, details here. November 8 - U.S. Election Day 2016. November 9 - Cumberland Region Tomorrow 'Power of TEN' regional priorities summit, Nashville, details here. November 9 - Chattanooga Chamber 'Spirit of Innovation' awards (Nominations close 8/31), details here. Branch Technology, Skuid and MediTract among finalists. November 11 - Veterans Day. November 14-15 - Global Action Summit, Vanderbilt University, details here. November 14-20 - Global Entrepreneurship Week USA, details here. November 16-17 - Internet Summit, Raleigh, NC. Details here. November 17 - Bisnow - MissionPoint health and wellness affordability and innovation, Loews, details. November 17 - Nashville Area Chamber, Nashville Entrepreneur Center NEXT Awards, details here. November 17 - AgLaunch agribusiness startup Demo Day. Details here. November 24 - Thanksgiving Day. December 5-7 - Computer Science Week, Nashville Tech. Council, Hour of Code, details. December 8 - 'Will This Float?' Pitch contest, CoLab, details here. December 26 - Markets observe Christmas Day on Monday. December 30 - Music City Bowl - College Football contest.